Remember the 1 million Naira Tobi won while in the house from Nokia Challenge? Y'all thought it was a joke right? 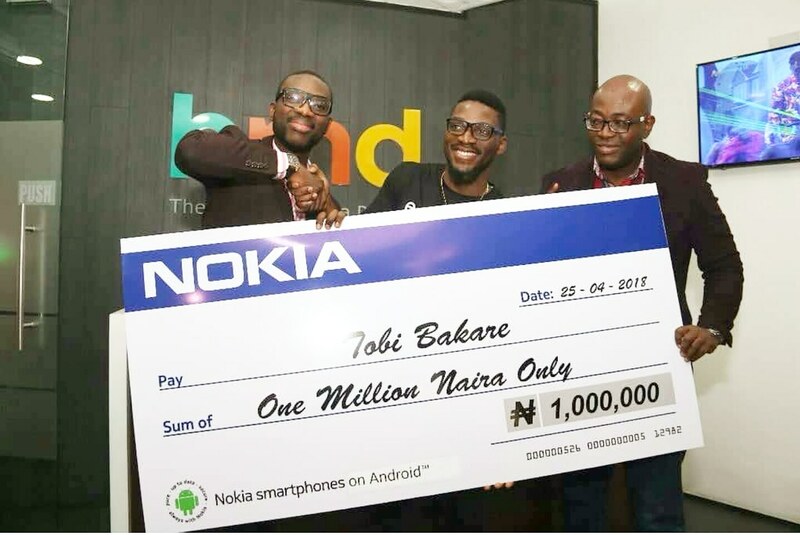 Well, Tobi is 1Million richer as Nokia has finally given him the 1Million Naira reward. 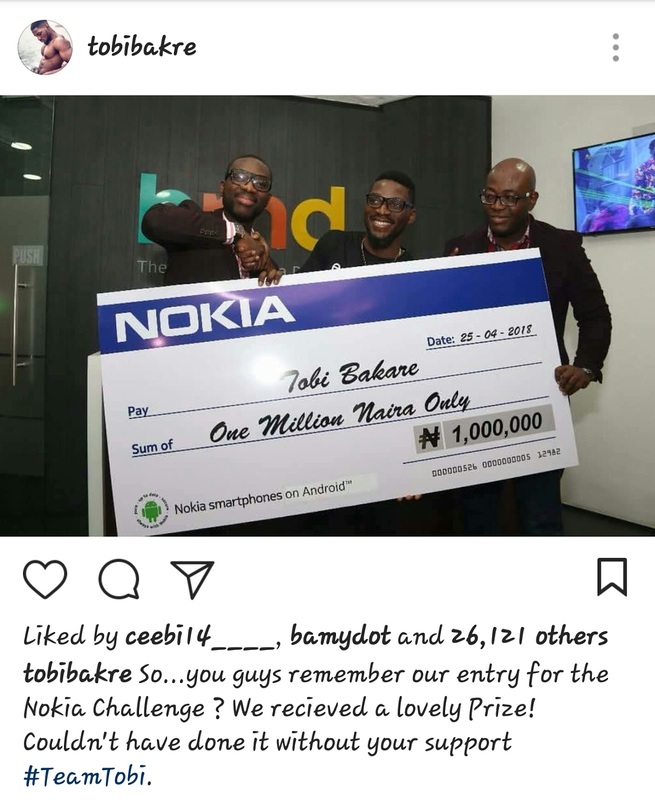 The excited photographer and 2nd runner-up of the just concluded Big brother Naija show took to his page to share the good news.